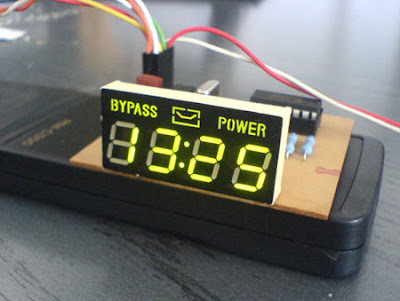 This is a small ajustable clock based on microcontroller PIC16F84A microchip.The electronic project here is very simple because the hardware only uses 74hct238 demultiplexer, 4x7 segments, and some resistors. The software is programmed through a device connected to serial port with icprog and made/debuged with MPlab. For PIC Programmer you can use JDM PIC16F84A programmer.